NASA will host a live Science Chat at 2 p.m. EST Wednesday, Nov. 7, to discuss upcoming encounters of two of the agency’s planetary missions – the arrival of the Origins, Spectral Interpretation, Resource Identification, Security-Regolith Explorer (OSIRIS-REx) at the asteroid Bennu, on Dec. 3, and New Horizons’ historic flyby of Kuiper Belt object 2014 MU69, on Jan. 1, 2019. The event will air on Facebook Live, NASA Television, Ustream, YouTube and the agency’s website. 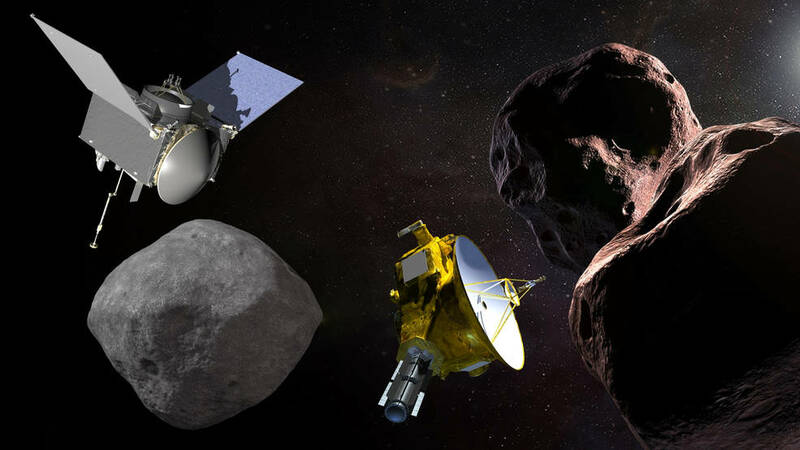 New Horizons will fly by its target, nicknamed Ultima Thule, approximately four billion miles from Earth – the farthest space probe flyby in history. This encounter complements the discoveries still coming from the mission’s July 2015 exploration of the Pluto system. However, this time, the spacecraft will come three times closer to Ultima than it did to Pluto.